Remember that feeling of utter excitement when the last day finally arrived and you were cut loose to enjoy several months spent outdoors playing, biking, swimming, and fishing until dusk, when the lighting bugs signaled it was time to go inside? Ahhh, and how refreshing sweet iced tea and cold watermelon tasted on a hot summer’s day. Best of all, how much you couldn’t wait for your family’s annual beach vacation—splashing in the surf with seagulls flying overhead and how soft and cool the sand felt when you dug your toes deep down, making sandcastles near the shoreline. 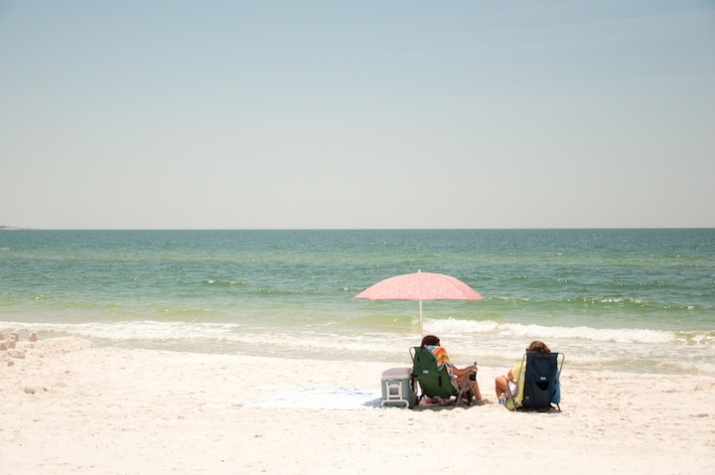 We at Mexico Beach along northwest Florida’s “Unforgettable Coast” know exactly how you feel. And with Memorial Day Weekend, May 23-26, right around the corner, we invite you to take a trip down memory lane and celebrate summer’s official start in our quaint little slice of heaven. Imagine blissful days spent splashing in our shimmering water and strolling sugar-white beaches that are so clean they squeak when you walk barefoot on them. Take a much needed break from life’s stresses—juggling work, appointments, family commitments, and traffic. Mexico Beach doesn’t even have any traffic lights—that’s reason enough to visit! Besides the beautiful Florida sunshine, soak up Mexico Beach’s authentic Southern charm and hospitality. Taste the local flavor in the Unforgettable Coast’s numerous mom-and-pop eateries, where the seafood is as fresh as the salt air and key lime pie. Whether you have the kids in tow or you are a kid at heart, you’ll have plenty of fun activities to keep you and your loved ones entertained, especially since the pristine Gulf of Mexico is your playground. Explore miles of uncrowded beaches. In the emerald green waters, snorkel, kayak, or stand-up paddle. Or, if you prefer to try your luck at fishing, scalloping, or spear diving, Mexico Beach has some of the best around. There’s plenty to do on dry land too—-how about bicycling, shopping, and dining out, not to mention stargazing, sunset-watching, and reconnecting with loved ones. And remember, at Mexico beach, we’re laid-back so you can do as much or as little as you like. It’s all good! 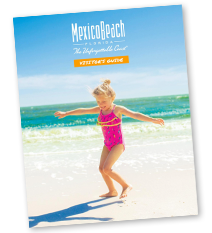 And speaking of good, Mexico Beach offers a wide assortment of family-friendly accommodations that fit most any budget. Choose from quaint seaside cottages, spacious Gulf-front condos and vacation homes, romantic inns and bed-and-breakfasts, or rustic cabins and campgrounds. For more information regarding accommodations, visit our Places to Stay page. Visit Mexico Beach this Memorial Day holiday and make it one of your most memorable vacations ever!